On 27 July 2015 the Department of Trade and Industry (“the DTI”) published the Copyright Amendment Bill 2015 (the “Amendment Bill”) in the Government Gazette, asking for public comment within 30 days from such date. Given the number of issues contained in the Amendment Bill that needs to be addressed, it will be almost impossible for one person to give comprehensive comments within the allotted time, unless that is their only task. It never ceases to amaze me how much time now has to be dedicated, by myself, and other academics and professionals, in trying to get legislation which is even vaguely coherent and workable. If that is not enough as a source of frustration, most of the comments which experts painstakingly submit are probably destined for the waste-paper basket, judging by past experience. The legislative process, particularly in a technical field such as intellectual property law, appears to be a shambles, and it would be farcical if the consequences were not so significant. Most of our time seems to be spent trying to get the DTI (the custodian of such legislation) to abandon some hare-brained, or, at best, half-baked, proposal. Moreover, the quality of the legislation (or proposed legislation) implementing its proposals demonstrates a level of incompetence which induces a sense of shock, if not despair. We should not have to suffer fools gladly. If you consider my criticism to be unduly harsh, ask yourself this question: As a partner of a law firm, would you consider this standard of work acceptable if it was delivered to a client by a lawyer in your firm? If you as a client were rendered services of this quality, would you pay for it? So why should we, as the citizens of this country, be expected to be satisfied that our taxes are being used to pay people for delivering work of this standard? This is yet another example of service-delivery failure, and this is my service-delivery protest. As has been recognised by our courts, copyright is a technical subject. Apart from plain sloppiness in the actual drafting process of the Amendment Bill, there is ample evidence to suggest that the drafting was done by persons who, quite frankly, first need to learn the basics of copyright law, and take the time to read the Copyright Act 1978 (as amended). I cannot be more blunt about this. It is astounding how “easily” legislation is drafted nowadays, without any regard to legal principles, clear legislative objectives (however ill-informed they may be), or just literal clarity. Even ill-informed, or downright immoral, objectives can be drafted in a manner which exhibits clarity of thought and technical competence, as was done in the past in a host of pieces of Apartheid legislation. Not only do we now get legislation which is substantively garbled, we have to waste time in first deciphering it, and give it some sort of meaning. The fact that legislation, even major legislation like the Companies Act 2008, and the Consumer Protection Act 2008, is never accompanied by any form of detailed explanatory memorandum setting out the goals and objectives, is no coincidence. No discernible, and coherent, account (other than a concocted ex post facto one) exists for the various provisions, and we have to wrestle with legislative diarrhoea. Let me illustrate my point with reference to the Amendment Bill. A stunning example of a lack of any coherence of objectives, or clarity of thought, are the proposed provisions concerning so-called “orphan works,” which are copyright works the copyright owners of which cannot be located. As copyright law requires the copyright owner’s authorisation for the exploitation of a copyright work, it is considered socially undesirable that a demand for such works remains unsatisfied where a demand for such works exists. Accordingly, while such a work is still under copyright protection, countries are permitting persons to, inter alia, print and distribute copies of such works against payment of royalties into a fund, which can compensate the copyright owner should he or she reappear. What the Amendment Bill does is to vest copyright in the state, and to provide that copyright in orphan works shall be perpetual! Instead of allowing the copyright work to pass into the public domain, like all copyright works, the state seeks to continuously earn an income from such works. This not only runs contrary to the fundamental notions of copyright protection, it should infuriate those, such as supporters of the Creative Commons, who seek to make copyright works more accessible. The other kicker in relation to orphan works is that the compulsory licensing provisions (again, problematic in themselves) which allow for translations to be made of copyright works, without a copyright owner’s authorisation, expressly excludes the possibility of such a licence for orphan works. Why? Of course, given the abysmal level of drafting, it should now come as no surprise that the very same licensing provisions later implicitly contemplate the licensing of orphan works. So which is it? In relation to the compulsory licensing provisions, there does appear to be a worrying undertone. It seems that the government wants to provide educational material without having to negotiate with copyright owners in the normal course of business. While there is no doubt a case to be made for making educational material more accessible, it is hoped that the government is not seeking to undermine the principles of copyright law as a quick fix to its well-publicised failure to provide adequate schooling provisions. On the other hand, there appears to be no hesitation to waste money on the creation of institutions of questionable value, or size, such as the National Trust for Indigenous Knowledge, and the new Intellectual Property Tribunal envisaged under the Amendment Bill. 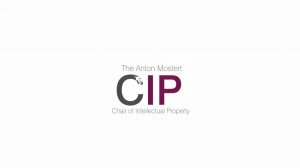 No reason has been given for replacing the Copyright Tribunal – which is currently a single judge – with an Intellectual Property Tribunal consisting of at least 10 members! To date there has been no suggestion that the Copyright Tribunal is overworked. There appears to no lack of desire to create new statutory bodies, which will no doubt be staffed by suitably well-connected appointees. If cronyism and nepotism was not the order of the day, we would not be facing government failure on this scale. This is by no means the full extent of drafting failure in the Amendment Bill but I hope it serves to illustrate what the legislative process in South Africa has been reduced to. Lest there be any misunderstanding, or doubts about my motives: I was raised on the Cape Flats, and received my schooling under the days of so-called gutter education during the turbulent 1980s. We should not have to endure gross government failure with good grace in a democratic society, which was achieved at great human cost. Government should fulfil its mandate. Those tasked to do something should do so competently. We do not require that those persons “#BeMoreMadiba” or some such popular refrain. Being mediocre would be enough for now.